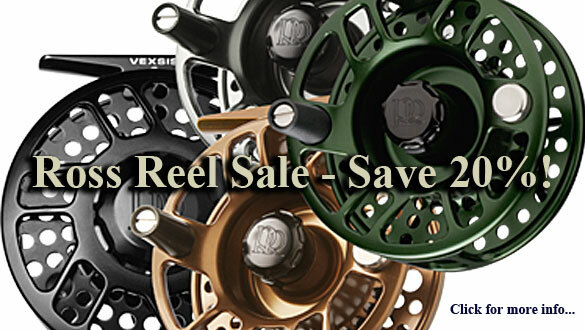 Hey just wanted everybody to know that Ross Reels for a limited time are 20% off. There is limited stock and time is of the essence. Ross has always kept up with having the best service of any company in the world of fly fishing. The other big news is that single handed Z-Axis rod are also on sale!!! Couple a nice new rod with a great reel and you can get a great deal on one heck of a great new set up. Just call the shop or email us at flyfish@flyfishusa.com.